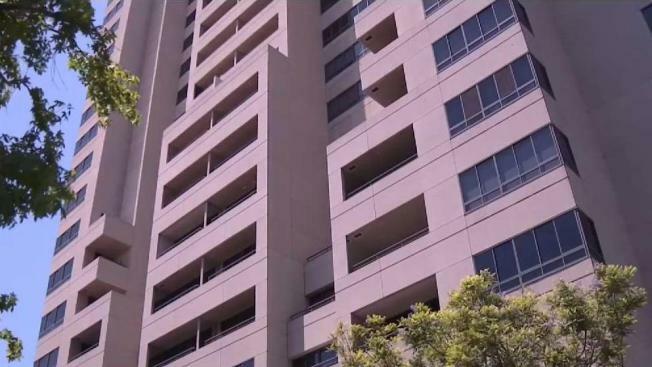 New details surrounding the discovery of a woman’s body in a luxury downtown high rise this weekend are revealing why investigators are considering her death suspicious. San Diego Police Department (SDPD) homicide investigators were called to the Meridian condominium building on Front Street last Saturday where Allyson Mary Rieg, 29, was found dead by her husband. Medics attempted to revive the woman but she was pronounced dead at about 2:40 p.m.
SDPD homicide Lt. Matt Dobbs said the initial investigation could not explain the exact circumstances of the woman's death, and said police are waiting for confirmation from the Medical Examiner’s office. Neighbors and police sources say the woman's husband wasn't the only person who called 911 to report her death. Another person called police and said he had seen a picture of a “homicide victim on the floor.” That witness told police the man who showed him the picture also said he was the one who killed her. The woman does not appear to be a resident of the approximately $4 million condo she was found in based on available public records, and it doesn't appear her husband or any of her relatives lived there. But that could mean she just moved in, or was just a guest there.